If you don’t already have HR functions in the cloud, you’re not alone. Deloitte’s “HR Technology Disruptions for 2018” study reveals that approximately 60% of companies are not currently utilizing cloud-based HCM solutions. However, a 2017 PwC study showed that 73% of organizations have at least one HR process in the cloud. Even if these statistics are overly generous one way or the other, the advantages of a cloud HCM solution have simply become too great to ignore. Perhaps you’re still trying to squeeze more life from disparate legacy systems. Unfortunately, the longer you wait, the more you actually stand to lose. That doesn’t mean moving to the cloud is “easy,” but the right partner and solution should bring unequivocal value in a reasonable timeframe. Begin with a firm commitment beyond your HR department. Cloud HCM changes corporate cultures for the better, fostering stronger collaboration and outcomes – but not just because you’ve successfully migrated data, completed proofs of concepts, and conducted extensive parallel testing prior to going live. 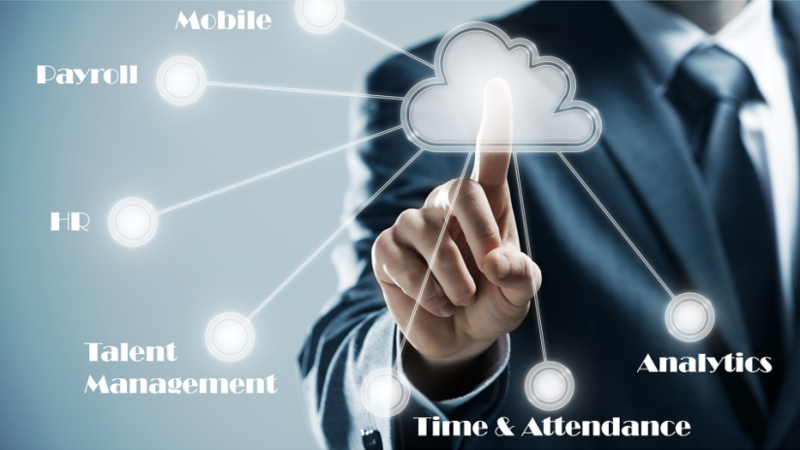 The true power and impact of cloud HCM doesn’t emanate from the system. Ironically, it comes from the human element, when your people fully embrace new ways of doing things while adopting best practices and potentially new processes that go with them. Direct Connection or Out of Touch? When done properly, cloud HCM elevates collective and individual performance. It’s a direct connection to the digital mindset of today’s diverse enterprise environment – from in-office employees, contractors and gig workers to remote personnel. Cloud HCM literally puts people in position to achieve their highest potential. “An individual without information can’t take responsibility. A proven cloud HCM solution essentially enables everyone to work more effectively and assume greater ownership of everything they do. Productivity tools, analytics and other resources foster stronger engagement and better decision making. Traditional HR functions are handled with sharper proficiency and accuracy — from recruiting/onboarding, time/attendance management and workforce planning to learning/development, performance management and compensation processes. Administration and access are streamlined through a portal-based shared services model. Instead of spending precious time focused on tedious manual tasks, your HR team gains bandwidth for more strategic endeavors. Management and staff aren’t waiting for answers. They can get what they need “on demand” yet with the highest level of security and privacy protections. Training and other forms of professional development are also more effective with cloud-based innovations. In addition, employee satisfaction and retention rates are likely to go up when you have the power of cloud HCM at everyone’s fingertips. This isn’t wishful thinking. We’re talking about profound advances, both practical and strategic, that only a unified global core HR system makes possible — supporting all downstream functions while reducing data duplication, mapping and conversion efforts. Maintenance isn’t your focus as updates are made automatically. Integration is simplified with standardized interfaces. The facts are undeniable. You don’t have to listen to all the hype surrounding cloud solutions today. The only outlook that really matters is your own. After all, the future of your company’s people, processes and performance is at stake. Keep in mind that an experienced partner will put you on a faster, more effective path from the beginning. Regardless of industry, that provider selection may, in fact, be your most important decision. As for when to make your move to cloud HCM, that should be more than obvious. Sunny’s responsibilities focus on digital HCM technology across all major cloud software vendors. He brings to customers a wealth of business, design, integration, implementation and support services experience. Sunny joined Zalaris UK&I in 2017, following the company’s acquisition of ROC Global Solution Consulting Limited.